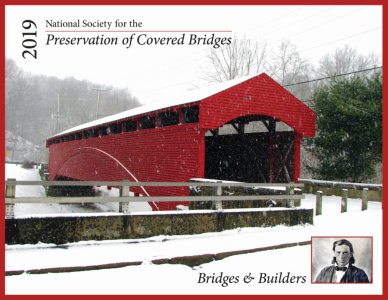 For 2019, the NSPCB has produced a calendar focusing on the bridge builders with existing examples of their work. 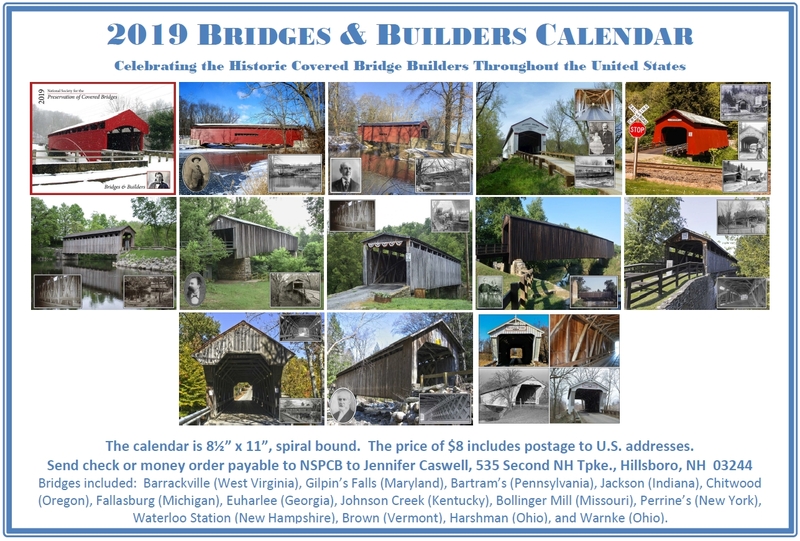 Each month of the 8½" x 11" wall calendar features a current and historic photo of the bridge plus photo of the builder if available. Captions include brief biographical information about the builder. See all 13 photos. Order yours today! Price reduced to $8 by mail to U.S. and Canadian addresses or $5 at our meetings and events. Use the "Add to Cart" button below to pay by PayPal or send a check or money order made out to NSPCB to Jennifer Caswell, 535 Second NH Tpke, Hillsboro, NH 03244.